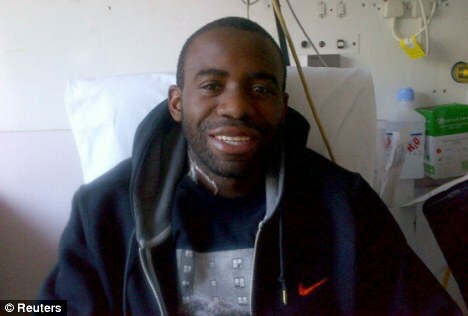 Bolton player Fabrice Muamba has finally been discharged from the hospital following his recovery from a cardiac arrest on the pitch. The player was left fighting for his life after collapsing during the first half of Bolton's FA Cup quarter-final at Tottenham last month. His heart stopped for 78 minutes as medics battled to keep him alive at the stadium and then in the London Chest Hospital. But the 24-year-old has made rapid progress since then. In a statement the player thanked the staff who took care of him.